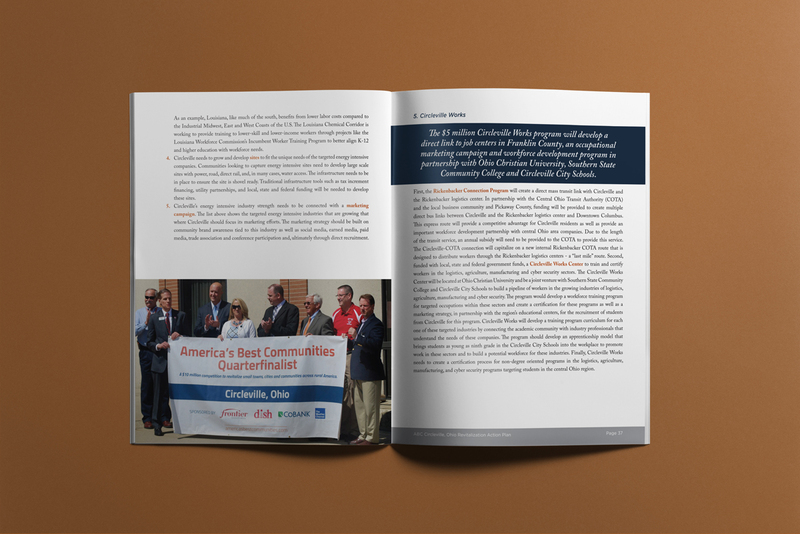 The clients were tasked with creating an economic revitalization plan as a quarter-finalist for the competition. 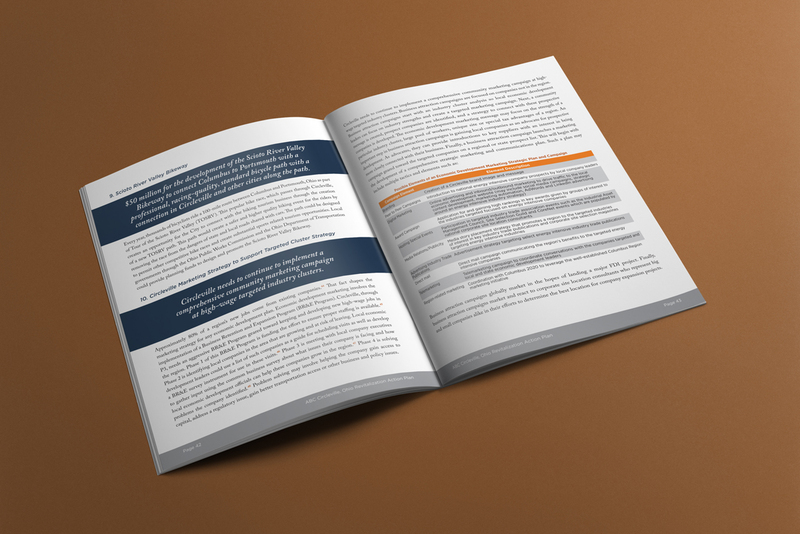 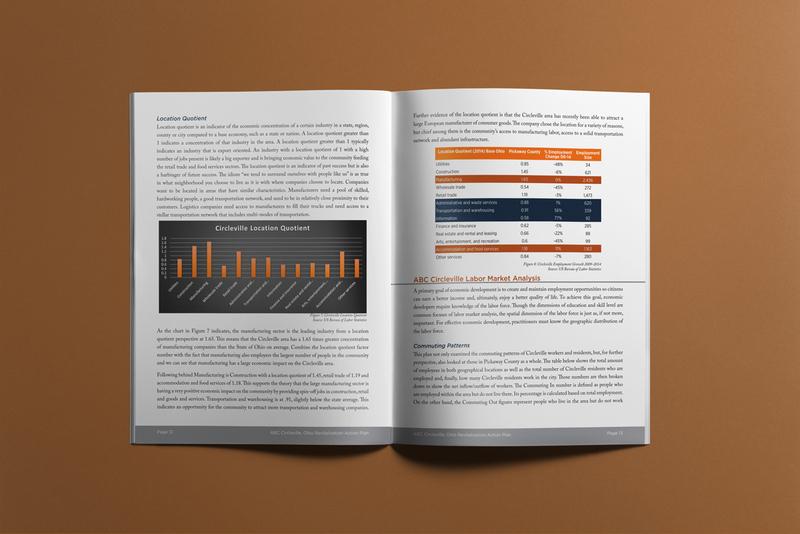 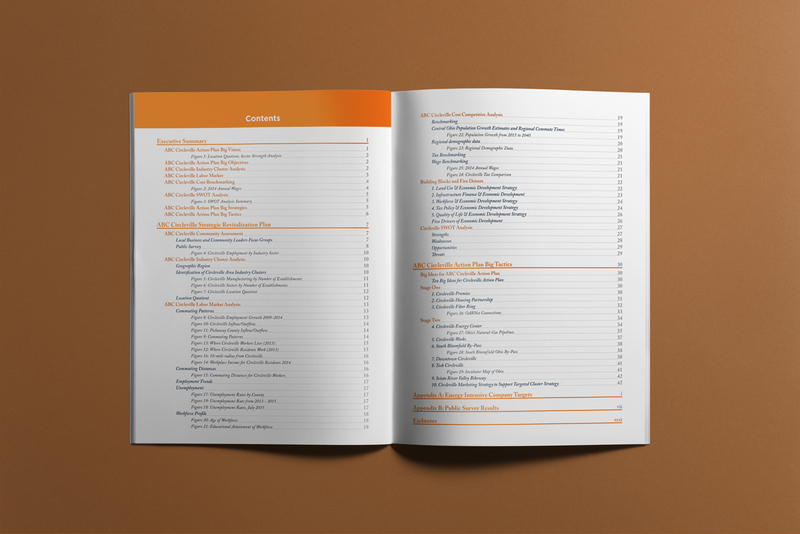 The team of consultants wrote an excellent plan filled with dense tables and lots of information, but spreading the work across multiple people left the final document with a mixture of text-formatting styles, table styles, and other disjointed elements. 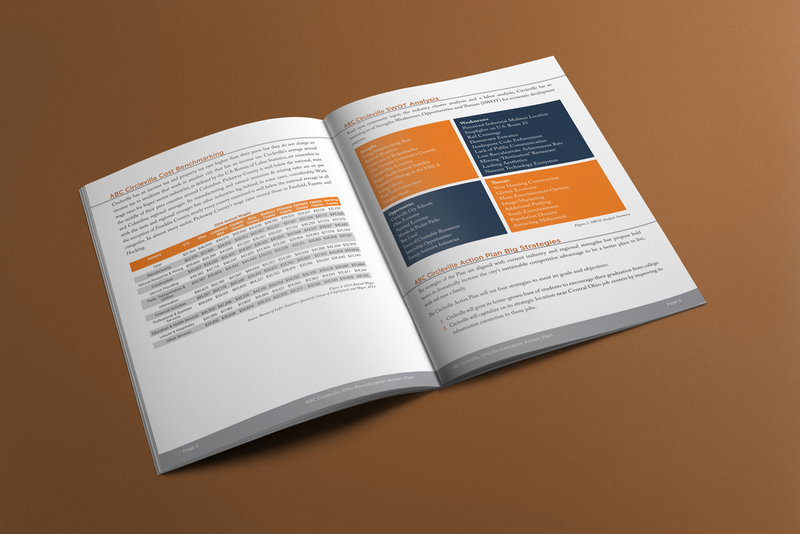 I created a document design that balanced the rich information and data with legibility and an eye for the user experience. 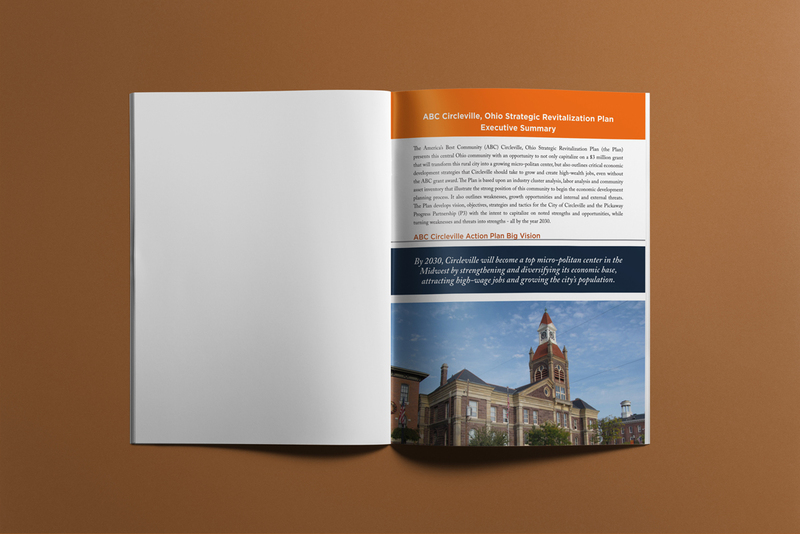 The resulting document was easy to navigate, had big ideas highlighted to give them more weight, had cohesive styling through all elements and became a stand-out document for the competition. 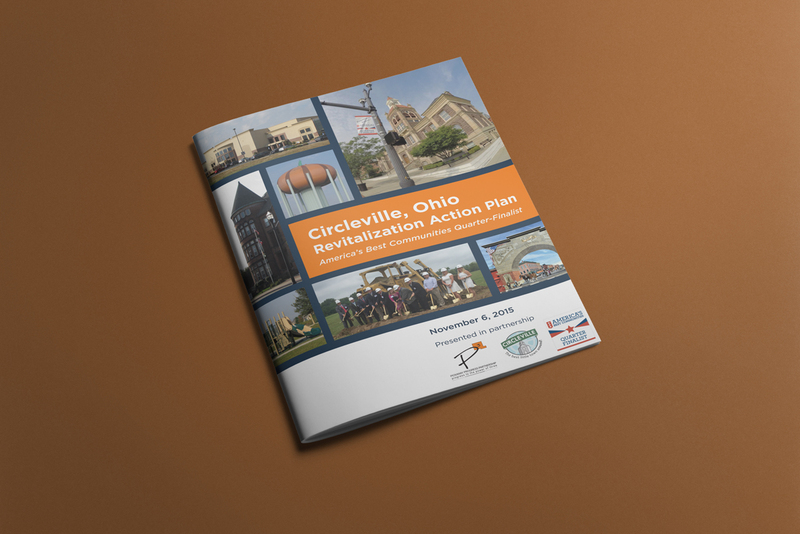 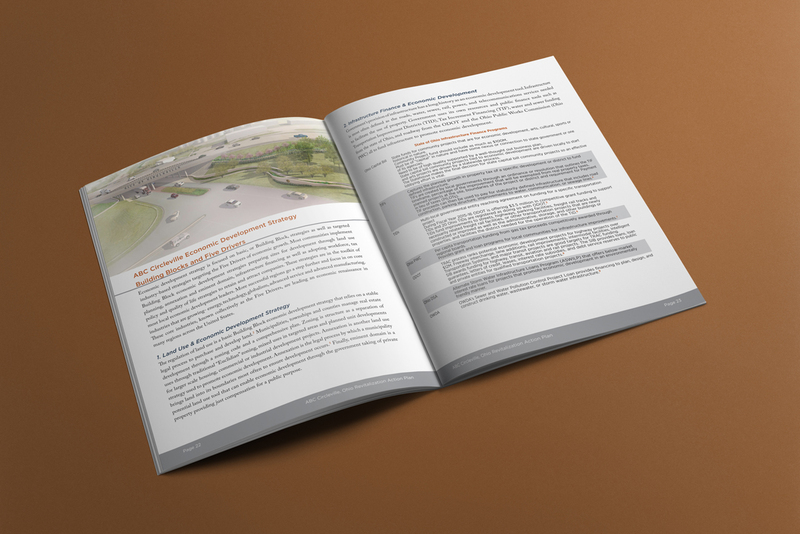 Project Document design for an 80-page economic revitalization plan as part of the city’s participation as a quarter-finalist for the America’s Best Communities competition.